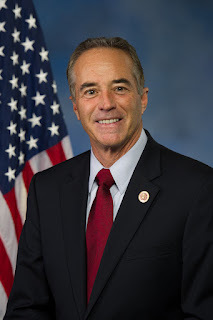 WASHINGTON, D.C. -- Today the U.S. House of Representatives passed legislation sponsored by Congressman Chris Collins to rename the U.S Post Office in Dansville, New York after Staff Sergeant Alexandria Gleason-Morrow. SSgt Gleason-Morrow was a Dansville native, who was killed in the line of duty in March 22nd, 2017 while serving in Jordan. "I am honored to have sponsored legislation for someone who had the courage to serve our country," said Congressman Collins. "Staff Sergeant Gleason-Morrow represented the best of Dansville and naming this post office after her stands as a tribute to her legacy in the community." SSgt. Gleason-Morrow enlisted into the United States Air Force after graduating from Dansville Senior High School. She attended the Air Force's Aircraft Armament Technical School after basic training, and was assigned to the 366th Aircraft Maintenance Squadron at Mountain Home Air Force Base in Idaho. SSgt. Gleason-Morrow was deployed to Jordan during the Operation Inherent Resolve and died from non-combat related injuries while performing her maintenance duties on fighter aircraft. "The memory of Staff Sergeant Alexandria Gleason-Morrow's will never fade and her heroism will never be forgotten," said Congressman Collins. "She truly was the embodiment of our community and we will forever be proud of her commitment to duty." SSgt Gleason was posthumously honored by her comrades when she was named the first Senior Airman team chief for the 389th "Thunderbolts" Aircraft Unit, a subdivision of the 366th Squadron. The Collins legislation renames the U.S postal facility located at 116 Main Street in Dansville, the "Staff Sergeant Alexandria Gleason-Morrow Post Office."